Why Can't I Put My Smartphone Down? 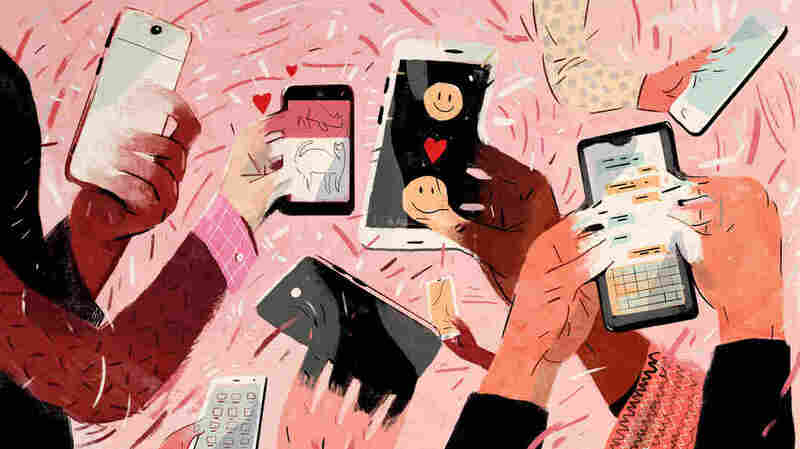 Here's The Science : Shots - Health News In an era when many kids get a first smartphone at age 10, psychologists say the devices have turned us into Pavlov's dogs — drooling for the next notification, buzz or text. Ready to dial back? Pavlov's own findings — from experiments he did more than a century ago, involving food, buzzers and slobbering dogs — offer key insights into why our phones have become almost an extension of our bodies, modern researchers say. The findings also provide clues to how we can break our dependence. "It's something we look forward to each week," Shlain says. She and her husband, Ken Goldberg, a professor in the field of robotics at the University of California, Berkeley, are very tech savvy. But they find they need a break. Stop being Pavlov's dog — turn off notifications. "This won't necessarily keep you from checking the phone compulsively," says University of Connecticut psychologist David Greenfield. "But it reduces the likelihood because the notifications are letting you know there may be a reward waiting for you." Use a wrist watch or alarm clock to check the time at night: "We strongly suggest not sleeping near your phone or looking at the phone one hour before you go to bed," Greenfield says. "There is good evidence that the phone can interfere with your sleep patterns." Exclude the phone from mealtime. Don't even set it on the table. A study in 2015 found that people's heart rates and blood pressure spiked when they heard their phones ringing but couldn't answer them. The teen says the perspective she gains from the digital power-down carries over into the rest of the week. For instance, she thinks differently about social media. She realizes the social media feeds often make other people's lives appear more exciting or glamorous. At its best, technology connects us to new ideas and people. It makes the world smaller and opens up possibilities. Technology is not going away. Our lives are becoming more wired all the time. But Shlain and Odessa say taking a weekly break helps their whole family find a happy medium in dealing with their phones.